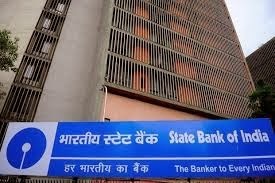 The State Bank of India (SBI) has increased its base rate, or minimum lending rate, by 0.20 percent to 10 percent, a move other banks are also likely to follow. The rate hike would be effective from November 6. Base Rate is the minimum rate below which banks are not permitted to lend. The country's largest bank has also announced that its benchmark prime lending rate would also go up by by 0.20 percent to 14.75 percent. The upward revision in the base rate will push up the equated monthly installments (EMIs) of home loan borrowers, further squeezing their disposable income at a time when households are struggling with high inflation. SBI has become the second large bank to raise its interest rates in response to the lending rate hike by the Reserve Bank of India on October 29. HDFC Bank had earlier increased its minimum lending rate, or the base rate, by 0.20 percent to 10 per cent, effective 2 November. With the increase in base rate many borrowers are likely to feel the burden of rate hike.